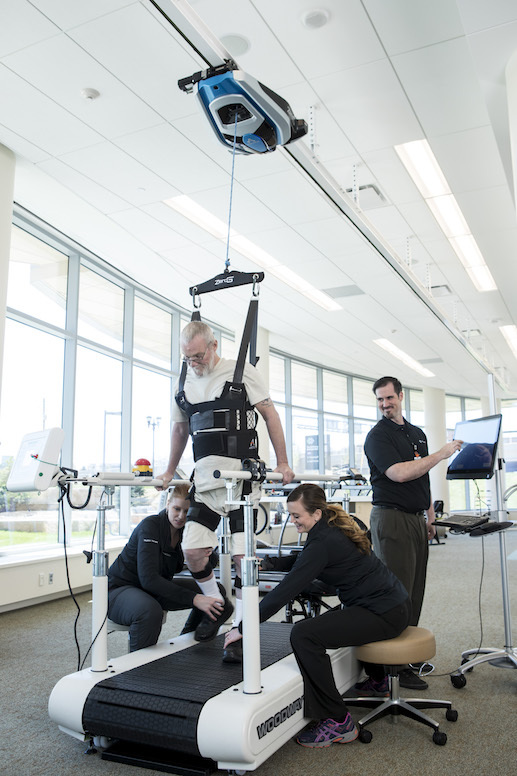 The most sophisticated robotic body-weight support system in the world. 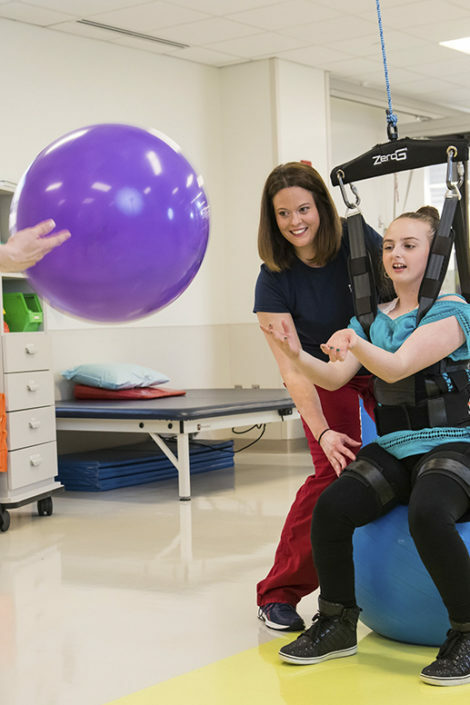 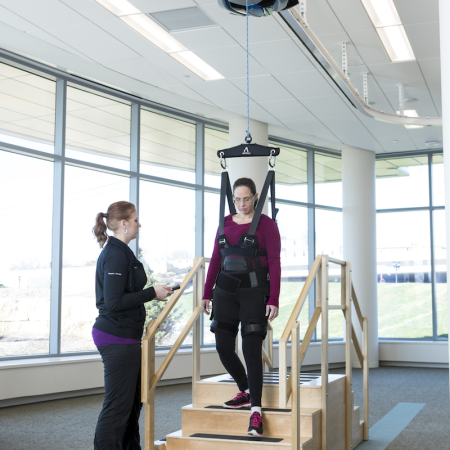 The ZeroG® Gait and Balance System protects patients from falls while providing dynamic body-weight support as patients practice walking, balance tasks, sit-to-stand maneuvers and even stairs. 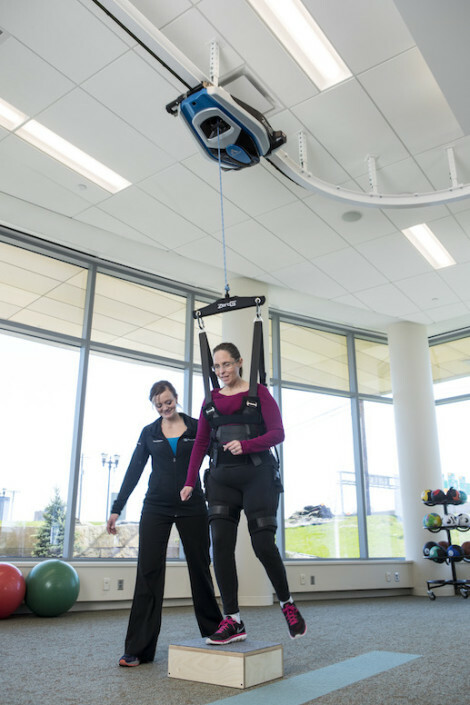 Because ZeroG is mounted to an overhead track, there are no barriers between the patient and therapist. 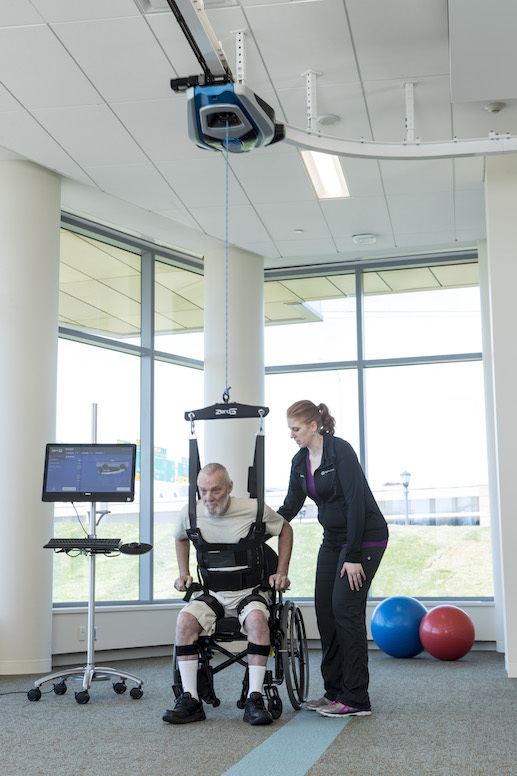 With ZeroG, patients can begin rehabilitation in a safe, controlled environment. 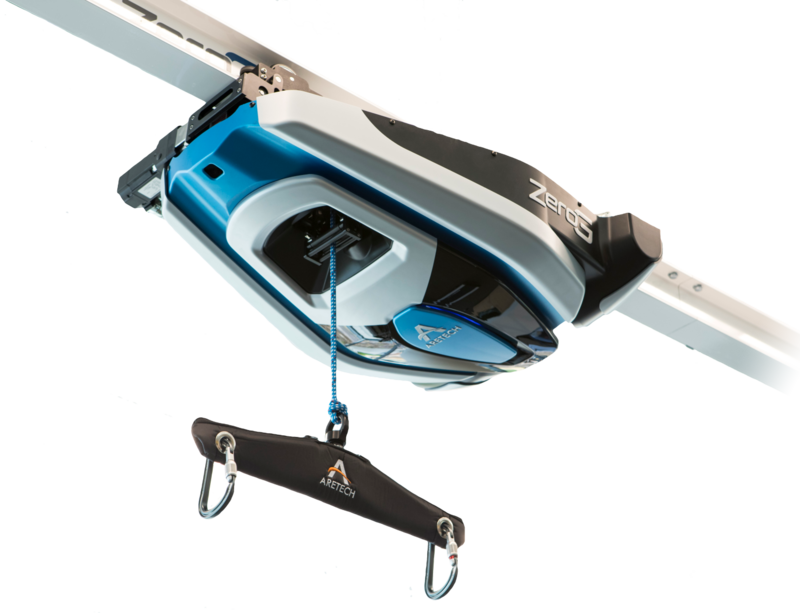 An intuitive touchscreen or wireless remote are used to operate ZeroG. Each was developed with therapist feedback to ensure a user-friendly design. ZeroG can maintain a consistent level of body-weight support regardless of vertical movements. 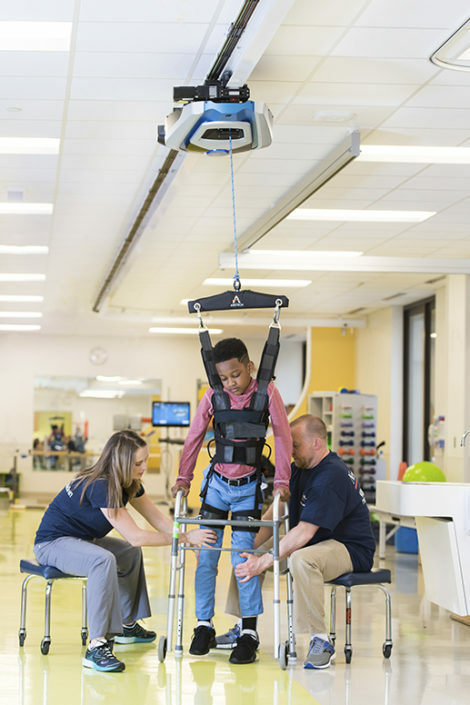 For example, if the amount of unloading is set to 20%, the patient will always feel 20% lighter even when going from a sitting to standing position. The motorized trolley automatically tracks patient movements up to 5 mph. 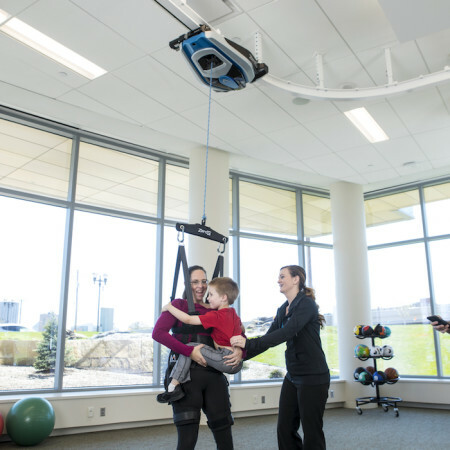 Patients only feel the vertical unloading without any drag from behind. 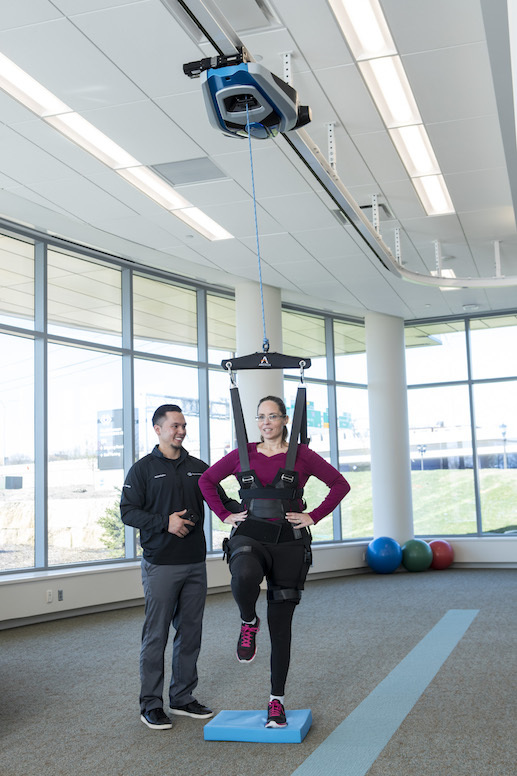 Patients are secured into a harness and then connected to the spreader bar in under 5 minutes. 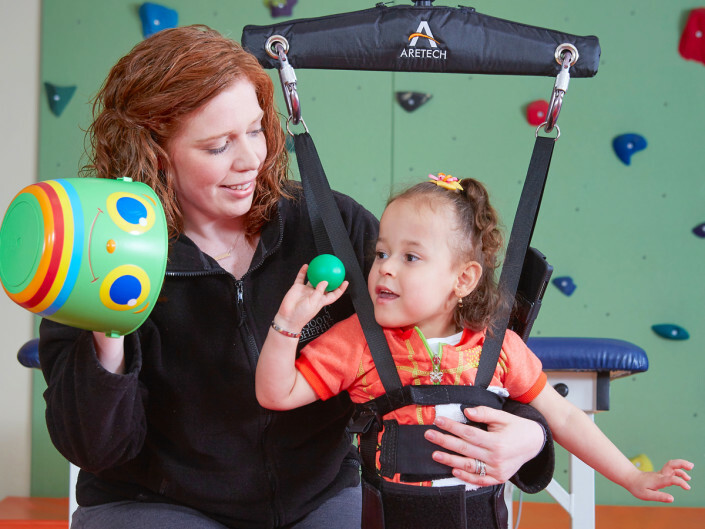 Settings from their previous sessions are easily accessible, so therapy can start immediately. ZeroG has advanced fall protection measures which monitor patient movements at 1,000 times per second. 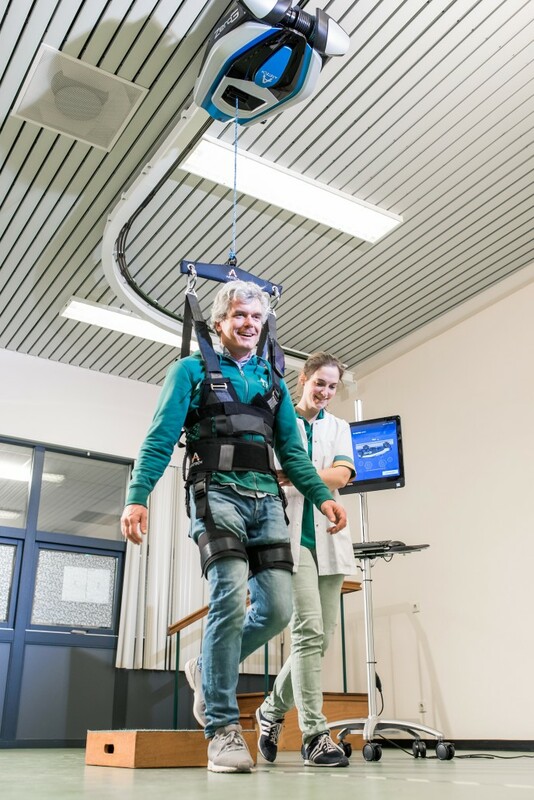 ZeroG has been used to train hundreds of thousands of patients since 2008 without a single patient or therapist injury. 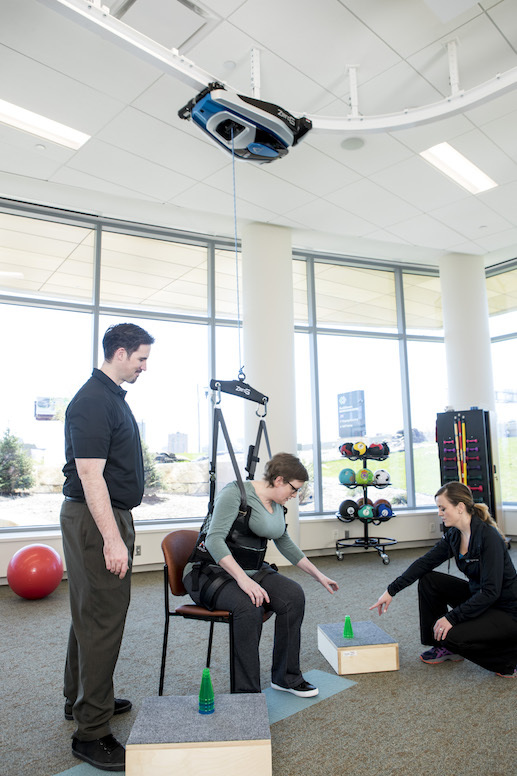 Games built into the ZeroG software make therapy fun yet cognitively challenging. 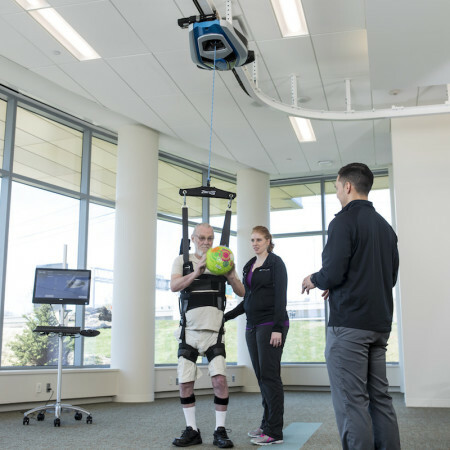 Target-matching modules provide patients real-time biofeedback of their movements to challenge postural control and dynamic stability. 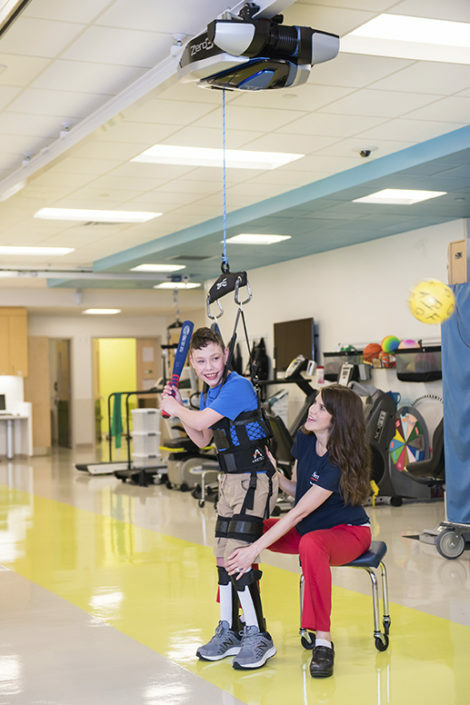 A fall is prevented by setting an allowable range of movement or when a patient descends too fast. 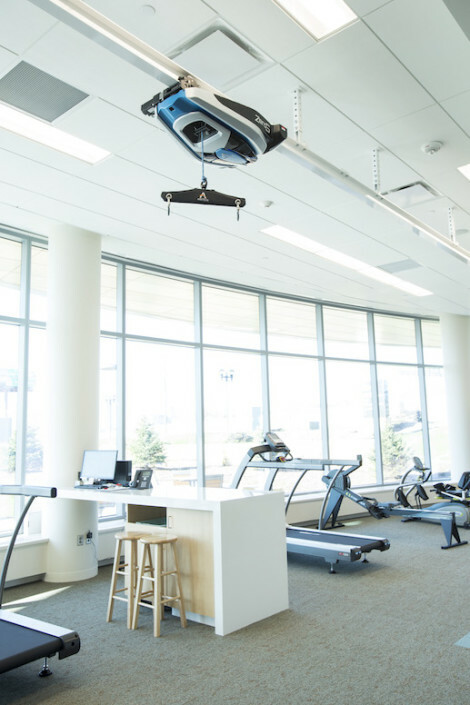 ZeroG includes a WaveLink WiFi Guardian, emergency lower, hardwired emergency stop, software monitoring at 1,000 times per second, redundant sensing, and other safety protocols. For use with Aretech products exclusively. 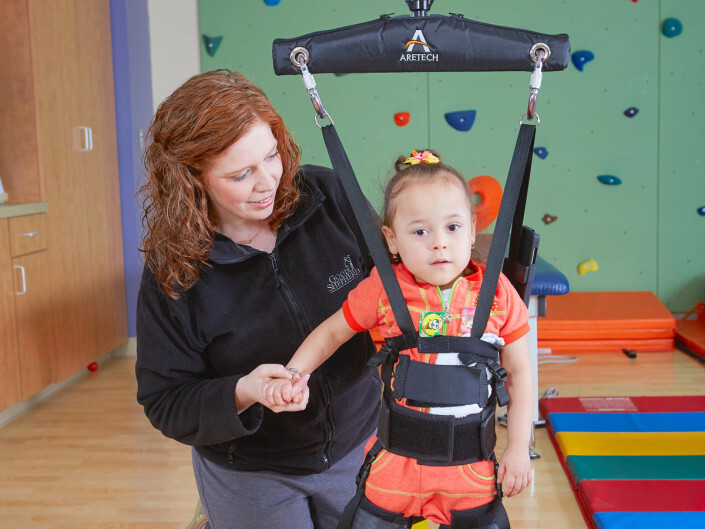 Sizes toddler to 2XL to fit a variety of shapes comfortably. 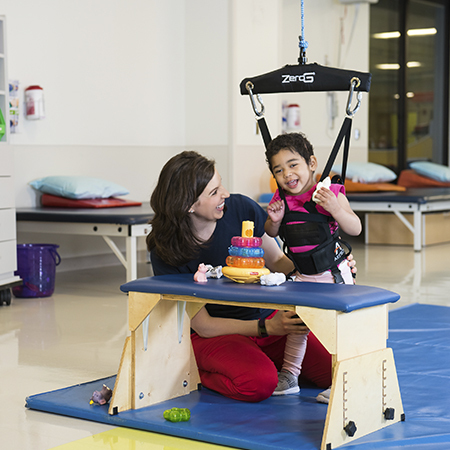 Important training data from each session is stored into a secure database that can be exported in various formats. 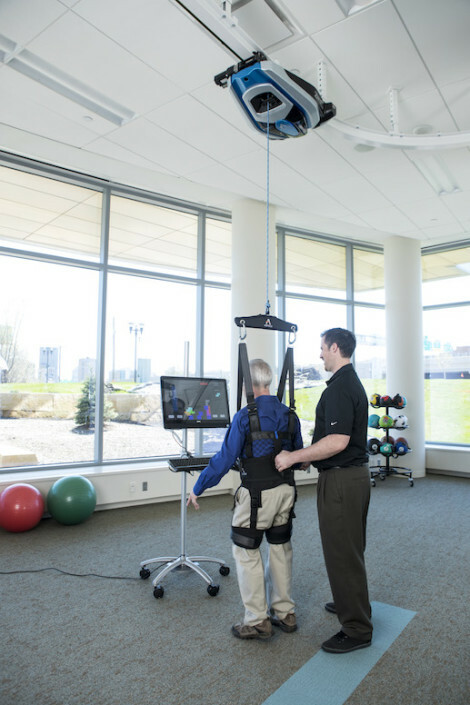 ZeroG was not designed for any specific diagnosis, but is a tool to assist therapists in treating their patients. 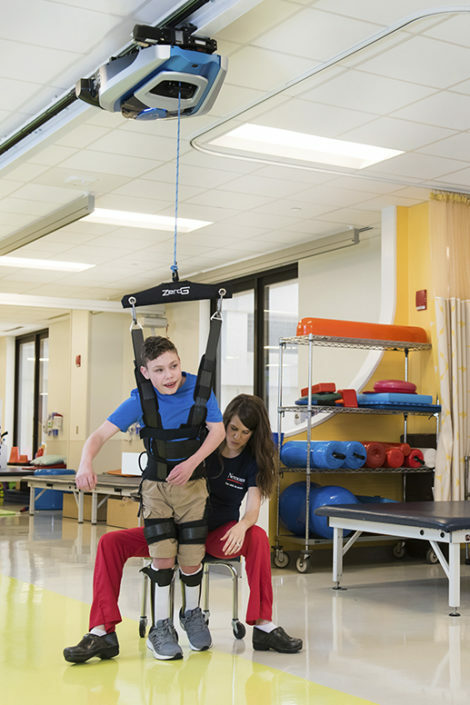 Stroke, traumatic brain injury, spinal cord injury, cerebral palsy, multiple sclerosis, amputees, and orthopedic injury. Patients between 20 – 450 lbs. 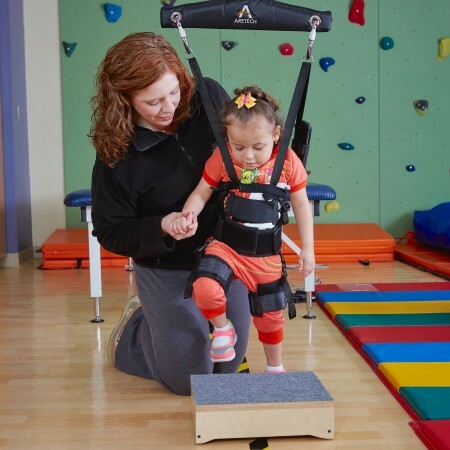 Walking, balance activities, postural tasks, sit-to-stand, stairs, getting off the floor and more. 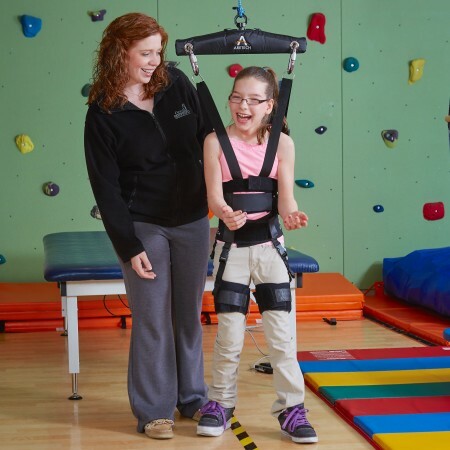 Fall protection and dynamic body-weight support promote early intensive therapy.